Jewish activists and journalists barred from Labour UK event in London. Jewish journalists and activists against anti-Semitism were banned from attending an event organized by leading members of Britain’s Labour party. 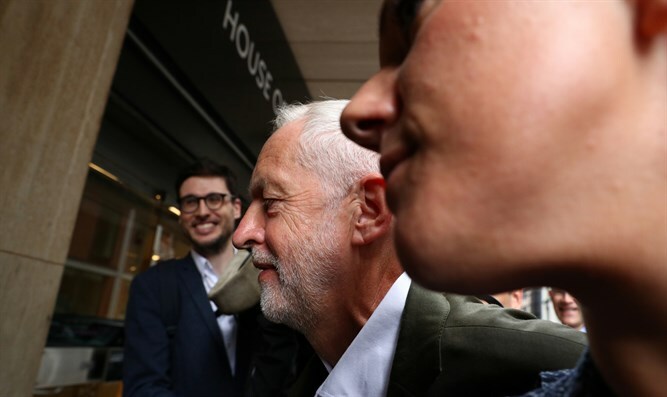 Dozens of Jewish people who had tickets to the event on Thursday evening, but who had previously spoken out about the anti-Semitism row that engulfed Labour over the summer were told at the last minute that their tickets had been cancelled, The Independent reported. No reason was given to them. Organizers later accused the people banned, including reporters for The Jewish Chronicle and Jewish News as well as bloggers, of having “previously misrepresented events,” The Independent reported. Some journalists were later allowed to attend, but they and other journalists were made to pay $10 in attendance fees, that went toward the campaign of activist Jenny Mason to enter parliament. Manson’s group has been strongly condemned by mainstream Jewish groups because of its dismissal of concerns about anti-Semitism in Labour. Mainstream Jewish groups in the United Kingdom, as well as former chief rabbi Jonathan Sacks, have called Corbyn, a far-left politician who has argued for a blanket boycott of Israel and had called Hezbollah and Hamas his “friends,” an anti-Semite. He had retracted both of these statements. Earlier this year, a recording from 2013 had him claiming that Britain-born “Zionists” don’t understand irony. In 2015, he laid a wreath on a monument for perpetrators of the Munich massacre of 11 Israeli athletes in 1972, a terrorist attack by Palestinians that shocked the world with its brutality and the fact that it targeted a delegation to the Olympics.